We all know by now that I love the monthly LookFantastic boxes but the only thing I love more have to be the fantastic and beautifully presented limited edition sets. I’ve already reviewed their Valentine’s Day and Mother’s Day limited edition sets. Today I’m going to be reviewing their new Easter set which is probably my favourite so far! 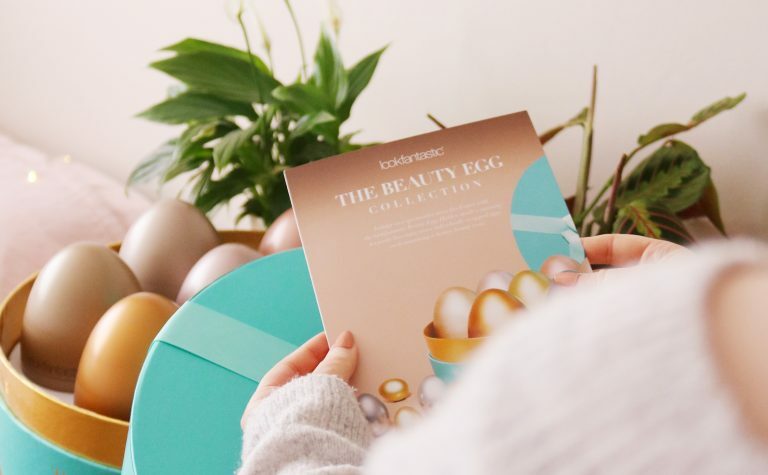 The Easter set named ‘The Beauty Egg Collection’ comes in a cute teal and gold hatbox which contains seven metal Easter eggs that contain beauty goodies. I think the presentation of this set is so wonderful, imaginative and it would make such a stunning, shocking and lovely easter gift to receive. Everyone who has seen the set I received has been pleasantly shocked by it followed by smiles. If that’s not high praise, then I don’t know what is! There are seven eggs but one of the eggs contains multiple items from skincare and haircare to tools and makeup. The brands range from high end options such as Elemis to lesser known brands including Aromaworks and Colour Wow. There are eight items in total and six of which are full sized (I think). I’ve only tried one of the items in the collection previously so I’m excited to try the others. Let’s start with the one makeup item from the collection and it’s from Laura Geller, which is a brand that I always see fellow bloggers raving about. The dewdreamer drops come in the shade Ballerina which is a beautiful rosey golden shade. I love the packaging, the shade is gorgeous and it looks beautiful on the skin. However, due to my ghostly pale skin tone, it’s just a little too golden and warm toned for my skin sadly. 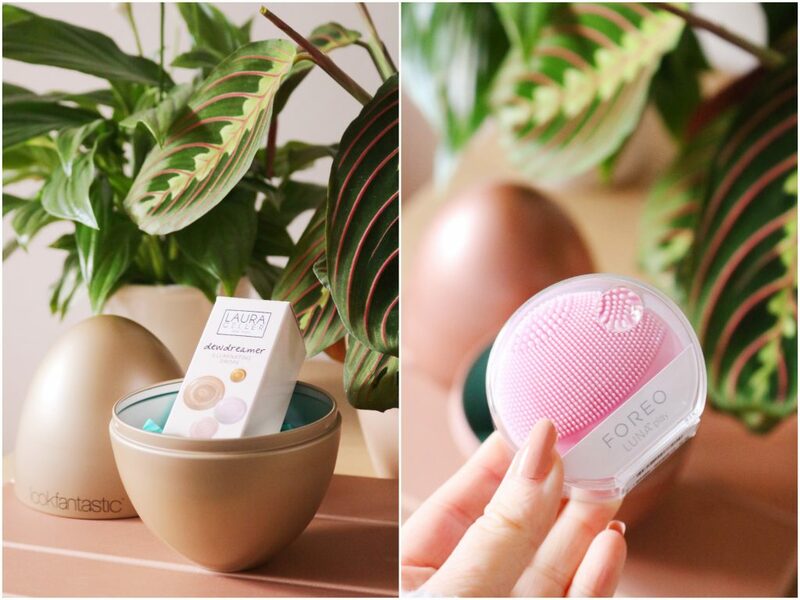 As I’ve said, I have tried one product from the collection already and that’s the Foreo Luna Play which is a mini facial cleansing device in the cutest pink shade. I’ve been using mine on and off for a while and I love how tiny it is, it works really well and leaves my skin feeling deeply cleansed and ready for the rest of my skincare routine. I have tried a few devices like this previously including the Clarisonic Mia and the Magnitone XOXO but I think I like this little device more…I’m currently giving one away on my twitter – @ofbeautyand. 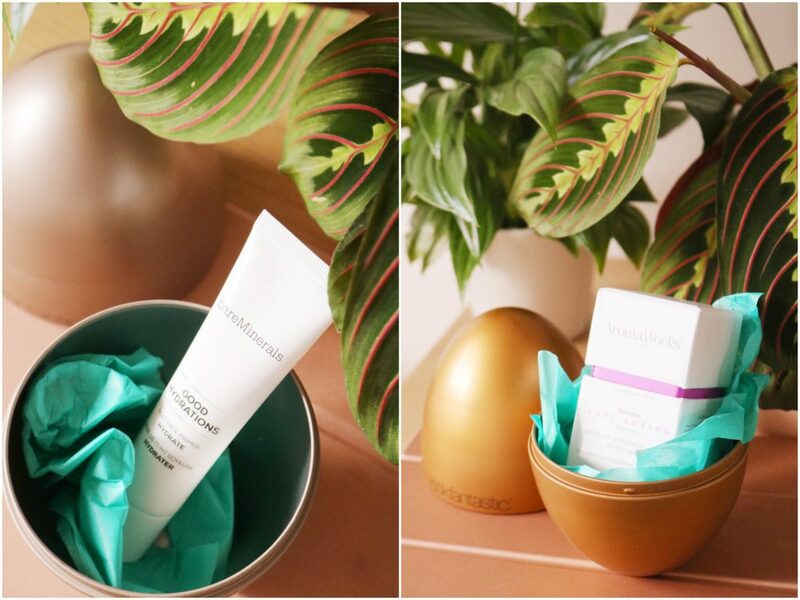 The Easter egg that contained two items included a haircare duo from Colour Wow, which is a brand I haven’t heard of. I have wanted to try a new colour focused shampoo for a while as I do have coloured hair but I never remember to buy a specific colour shampoo. The shampoo claims to prevent breakages and damage while eliminating impurities – it sounds very interesting. 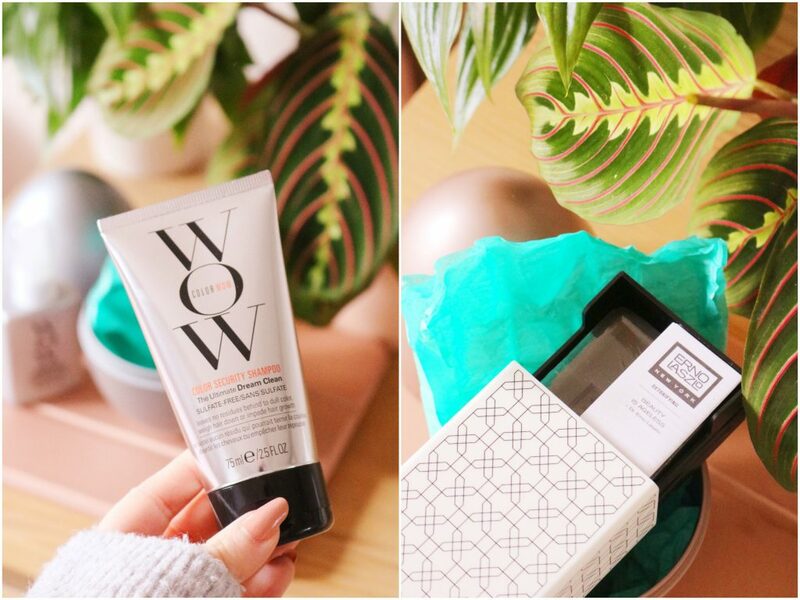 The second Colour Wow product is the Dream Coat Supernatural Spray which is a silicone free (yes!) spray which claims to combat frizz and humidity-proof the hair. Again, it sounds like a very promising product especially as I do have very frizzy hair so I can’t wait to try these haircare items. 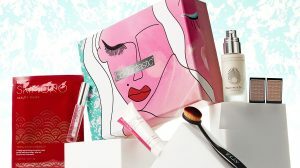 I tried the Erno Laszlo focused box from LookFantastic a few months ago and loved it, especially the sleep mask and the night cream and I’m still loving them months later. The cleansing bar contains Dead Sea mud which leaves the skin cleansed, soft and radiant with optimum moisture levels. I have dry skin so the thought of using what looks like a bar of soap on my face fills me with dread but I will give it a go. I’m always happy to try a new primer, particularly one that’s suitable for dry skin. I’ve tried this BareMinerals primer a couple of times so far and I’m loving it. It isn’t greasy on the skin as some primers can be but it leaves my skin feeling smooth. So far the primer hasn’t irritated my skin and it provides a good base for my bb creams and concealer. Aromaworks is a brand that I’ve tried a few products from over the past year or so and I loved their room mist but I don’t think I’ve tried any of their eye creams or serums before. I love that the eye serum comes in a cute little box and contains natural ingredients. Additionally, I like the pump dispenser and the inclusion of hyaluronic acid which is a fantastic skincare ingredient for those with dry skin as I do. 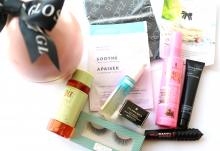 It’s a lovely eye serum so far and I’m loved all of the items I have tried from Aromaworks. 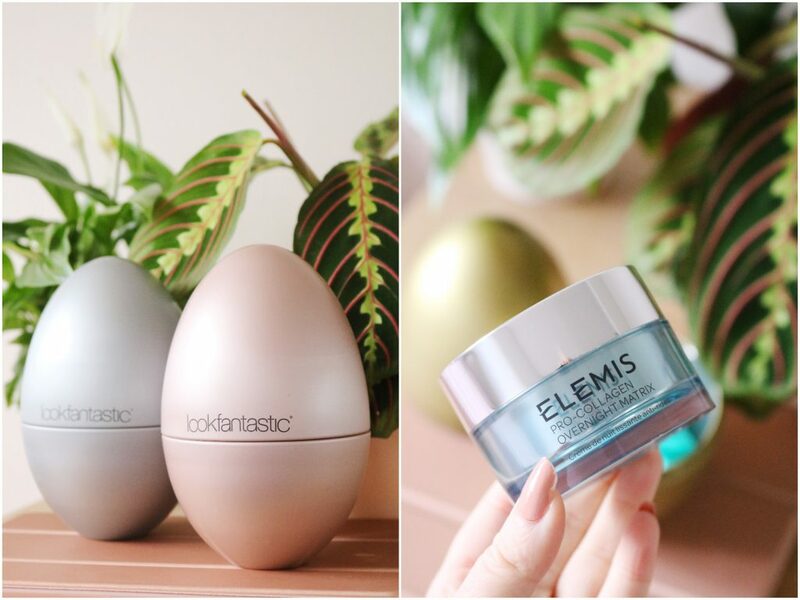 Lastly is a product from Elemis which is a brand I’ve tried a couple of items from but I definitely want to try more from, especially their body care products. The cream claims to lift and hydrate the skin. I love the packaging and as always Elemis products feel very luxurious to use – the packaging is quite luxe too. I haven’t tried this cream long enough to have many opinions on it but so far, so good. 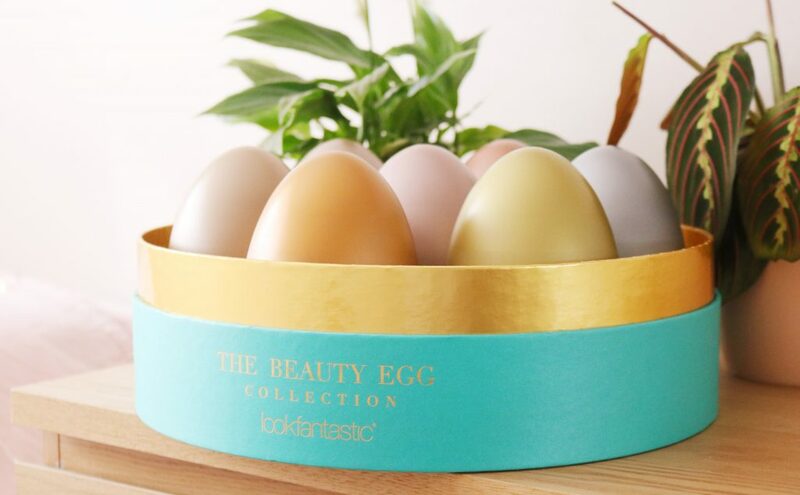 Overall, if you're looking for a show stopping easter gift this year then look no further than the gorgeous Beauty Egg Collection from LookFantastic. It would make great sharing gift, luxe gift or as a treat for yourself. My favourite item from the collection is probably the Foreo Luna Play, closely followed by the primer and the eye serum.